Barcelona, Spain – Feb. 28, 2018, 8:00 a.m. CET – Kerlink (ALKLK – FR0013156007), a specialist and global leader in solutions dedicated to the Internet of Things (IoT), and Telemar, a local provider of Information and Communications Technology in eastern Italy, today announced deployment of a smart-building network for monitoring air temperature in buildings near Vicenza. The project is one of the first LoRaWAN smart-building projects in Italy. The proof-of-concept project in Piovene Rocchette involves two buildings near the Town Hall. With thermostats in each room, the system generates data and information about air temperature and conditioning, heating and freezing. The customized LoRaWAN network deployment includes Kerlink Wirnet iBTS Standard outdoor and Wirnet iFemtoCell indoor gateways, 17 temperature sensors and 14 actuators. Users can control each room’s temperature, including turning heat on or off, simply using a smartphone. The proof of concept project is expected to be completed in March, when performance results will be released to the public, and a pilot project will begin. That project’s aim is to reduce the city’s heating bills, while maintaining comfortable temperatures in buildings. Buildings in the pilot project include a day-care center, a nursery, a warehouse, a primary and a secondary school, 12 athletic-stadium locker rooms and a library. Each room will have a thermostat that will monitor thermal conditions and specific parameters, such temperature, humidity, airflow, heat output, electricity consumption and even the water-boiling temperature in the school canteen. 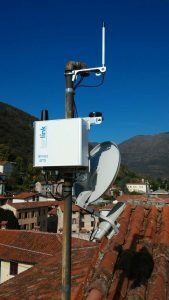 Telemar has developed an IoT network on the Vicenza area, starting from the north of the region and continuing to cover the entire area of Veneto. “Everything will be connected in the coming years because of technology, which is already and will increasingly influence the way we live and work,” said Enrico Cascioli, CEO of Telemar spa. “This project with Kerlink was created to put connectivity to work for cities, to spread the smart-city concept across our territory and to increase its economy and possibilities.